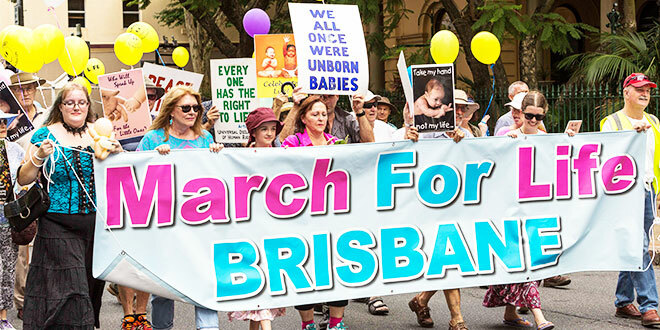 How should Catholics in Queensland respond (to the proposed private member’s bill in State Parliament on abortion)? First of all understand the legislation and what it is saying. And thatís important. Then understand the human reality of abortion. The situation in which a woman considers an abortion is an incredibly complex human situation. The point is often made that no woman runs gleefully to an abortion clinic. Itís a very complex, anguishing decision for a woman and perhaps her spouse or partner, and for the whole of society. The abortion itself can seem a short-term solution, but ends up being no solution at all, creating a whole series of other problems. Often abortion is presented as an issue of a womanís right to choose but, in many ways, to have an abortion or pressure to have an abortion is a denial of the choices that should be put before a woman because abortion is not the only choice a woman faces in that very complex situation. So what claims to be pro-choice in many ways is in fact anti-choice. So it’s a defeat for the woman. But it is also a defeat for her spouse or partner who can often be a forgotten figure in this whole scene. It is defeat for us all. Because abortion, the deliberate taking of a human life is about the woman, but it is also about what really matters to this society. And thatís why I say abortion is a defeat for us all. 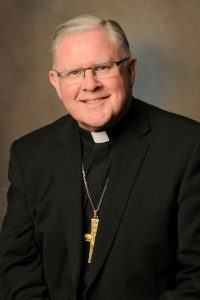 I would like to think that for the Catholic Church as we engage in this debate we will do so in defence of the wellbeing of the child in the womb, the woman considering an abortion, her spouse or partner, but also as society as a whole. I would see this legislation as an attempt to address the great complexity of abortion, but doing so in a way that creates more problems than it resolves. What it enshrines in law is in some ways a double defeat of humanity in what it provides for abortion and what it denies for conscience. In practical terms, what could Catholics do? Firstly, do your homework. Secondly, make your views known to your local politician. There really is no substitute for that. Write letters. Go and see them personally. They are human beings faced with a very difficult decision. Youíve got to understand it from their point of view. Any kind of respectful contact (is recommended). No politician will respond to having their door kicked down, or people speaking disrespectfully or angrily. So take a respectful, clear-sighted and determined approach to the local member. Beyond that, would you endorse joining protests and rallies? Would you go to those events? Sometimes a protest or rally can be very helpful in registering clearly and strongly a point of view, a conviction on something that really does matter. If I thought it was going to be productive rather than counter-productive I would certainly consider going. My criterion is entirely pragmatic. If I think it is going to work or help I am all for it. Is there a passage in scripture to look to at this time and facing this issue? The very first page of the Bible: God saw all that he had made and found it good. Life is not a curse. And yet abortion presumes that it is a curse or at least a burden. Life is a great gift and a great blessing. It comes to us on the first page of the scripture. To treat the child in the womb as some kind of tumour that has to be removed from the woman is fraught with not only difficulty but danger for the child and the woman and all of us. Iíve long thought that the kind of violence done to children in the womb does have its effects on the levels of violence in the whole society. Indeed it is not even unlinked to child abuse. You can use all the euphemisms you like but its an appalling violence to the embryonic child and that must affect the way not only we view but also enact violence outside the womb. Instinctively that could well be true because the effects of abortion on the woman and her spouse or partner can be profound and life long. And that it could become a form of domestic violence at some point wouldnít surprise me at all.